The safety of our customers, community and staff is our number one priority. 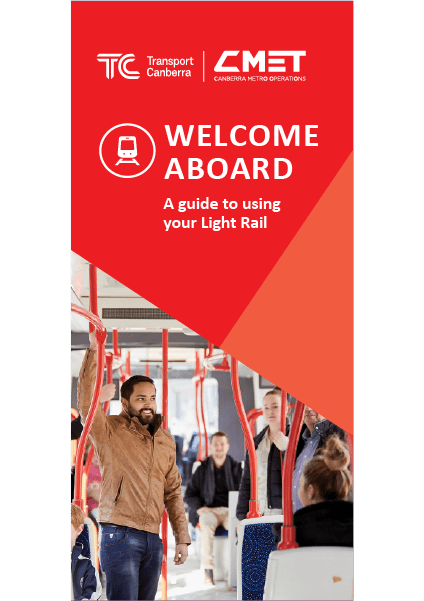 To ensure that everyone enjoys an exceptional experience on our Light Rail, there are a number of things you can do to ensure your journey is enjoyable and safe. 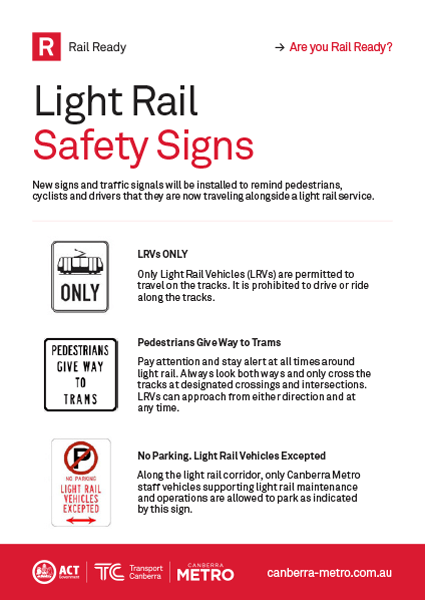 When accessing light rail stops remember to only cross the road and tracks at designated crossings and watch out for LRVs coming from both directions. 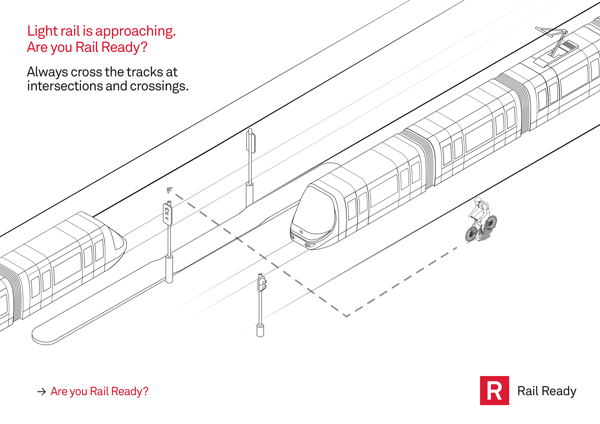 When waiting at a stop, stand back from the tracks behind the yellow line. Please keep the doorways clear and wait for all customers to exit before you board. 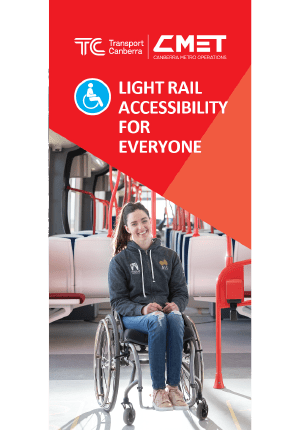 Allow passengers with mobility impairment or wheelchairs to board first. 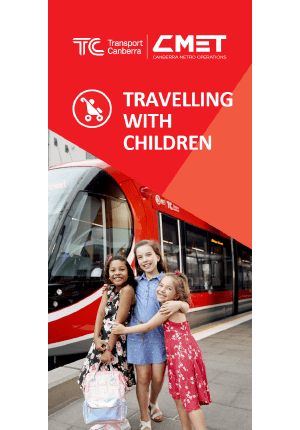 If travelling with young children, hold their hand whilst waiting at the stop and when getting on and off the LRV. If there is a seat available, even if you are only taking a short trip, please use it. Once on board, walk into the LRV to allow others to board promptly and remember to tap on. Do not block the doors or aisles with prams, bags or bikes. Stand clear of the doors. If you need the doors re-opened at the stop, press the yellow button on the door. 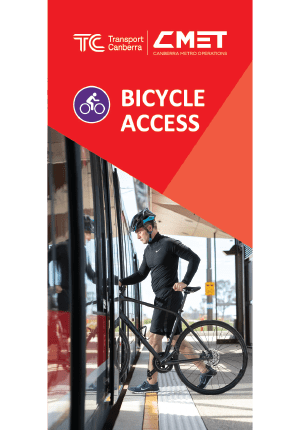 Bikes can be carried on LRVs and must board through either of the double doors, which are clearly marked with a bicycle image. All bikes must be placed into the allocated bicycle rack which is clearly marked on the LRV floor. The racks are designed to accommodate two-wheel, single-seat bikes. A maximum of four bike racks are available and cannot be reserved, spaces are on a first come first served basis. At the stop keep your pram parallel (sideways) to the tracks, behind the yellow line. Be mindful of slopes and high winds which can cause your pram to roll. Always apply the brakes and restrain your child in the pram. Board the LRV with the pram in front of you, lifting the front wheels over the small gap. When exiting the LRV, step out first then pull the pram towards you, rear wheels first. Remember to hold on at all times, particularly when the LRV first moves away from the stop. The best thing to do is steady yourself, look for the nearest seat and use the safety handles, seat backs and poles when you are standing to steady yourself until you sit down. Remove bulky bags from your back so other passengers can easily move around. Place bags on your lap or under the seat if you are seated or between your feet if you are standing. 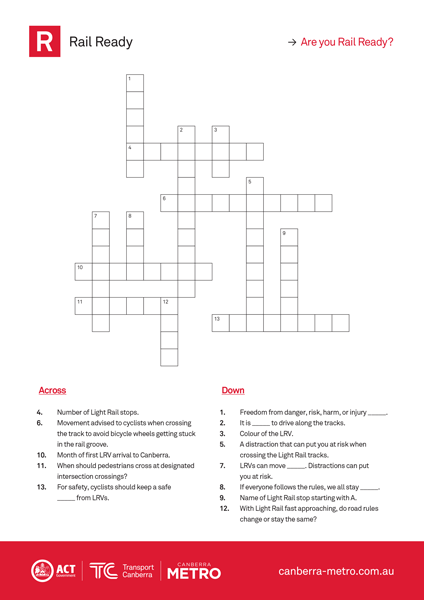 Avoid stowing bags and other items on seats. 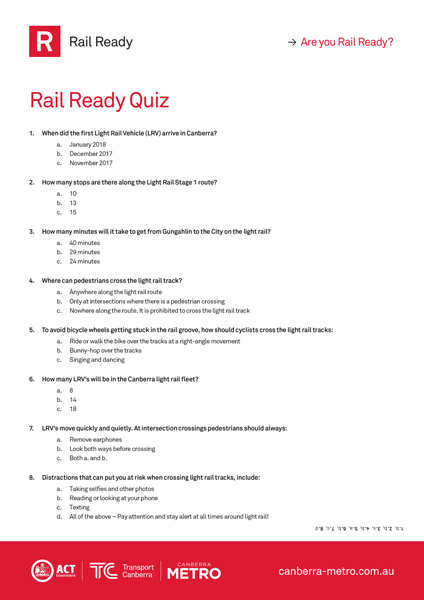 All LRVs have assigned red priority seats. Please be courteous to your fellow passengers and offer your seat to the elderly, pregnant women and people who have impaired mobility. When standing in the LRV you always need to maintain your balance and footing. The best position that gives you a solid base is to keep your feet shoulder-width apart. It is highly suggested that while standing you utilise the safety handles and poles to help keep your balance and ensure your safety. It is always good to have an eye towards the windows so you can see what is happening outside and be prepared for any movement. The LRVs have passenger information displays which show the next stops, and also public announcements to alert passengers about the next stop. The LRV will slow down and brake as it approaches every stop. Make sure you are ready to exit and try to move closer to a door before your stop while holding on. If the doors close before you have exited, press the yellow button on the door to alert the driver that you still need to exit. Once off the LRV, remember to ‘tap off’ with your MyWay card at the platform ticket validator. 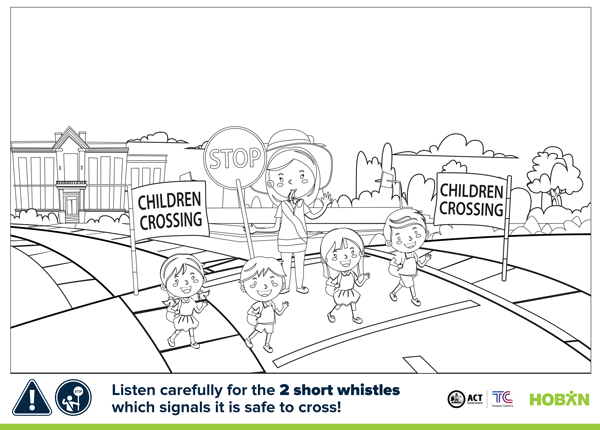 Please use the designated crossing points to cross the tracks and road when leaving the stop. Assistance animals are able to travel on a lead in the LRV, they are required to be a registered assistance animal with appropriate qualification/registration and where applicable wear an identifiable coat. Small animals can travel for free on Light Rail Vehicles, but they must be able to be carried in a closed carrier. Non-assistance dogs on leads are not permitted. Guide dogs, hearing guide dogs or guide dogs in training can travel for free on all public transport services stating that “Non-assistance” dogs on leads are not permitted. Riding the light rail should be a pleasant experience for everyone. Rollerblades, rollerskates, skateboards, scooters, unicycles or similar wheeled devices are not to be used whilst on the LRV or at each stop. All stops and every LRV have CCTV cameras installed for your safety and security. 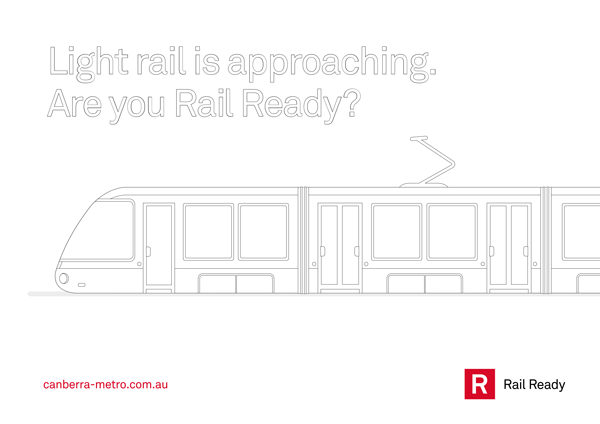 In case of an emergency, doors can be opened manually once the LRV has stopped moving. If you are concerned about your safety or the safety of others, please use the Emergency Help Point on platforms and on board LRVs to contact staff. 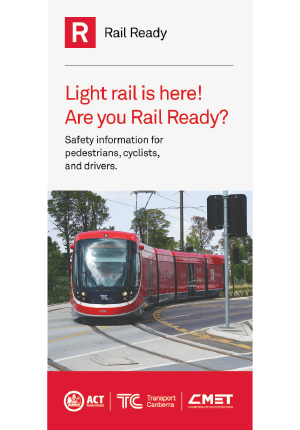 Help us make the light rail a safe and pleasant experience for everyone by reporting incidents, unattended items or suspicious behaviour to any available staff. Emergency help points are located at every stop and on board every LRV, alternatively call 000. Customer Service Officers, security staff and police will be travelling throughout the network at stops and on board, and are there to help. Our staff are committed to ensure that every passenger enjoys an exceptional travel experience. We have a dedicated team of Drivers and Customer Service Officers who have undergone an intensive training program to prepare for operations. Your driver’s number one responsibility is getting you to your destination safely. Please do not attempt to enter the driver’s cabin. If you need urgent assistance, please use the Emergency Help Point on board the light rail vehicle or at the stop to contact a staff member. 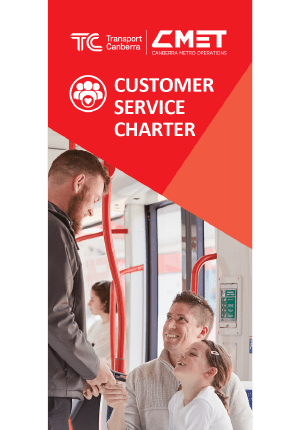 Our Customer Service Officers will be travelling throughout the network on selected services to assist passengers at stops and on board. Our staff are there to help! If you need any assistance with ticketing, local information, connecting services please ask. Don’t forget you must have a valid ticket or MyWay card to travel on the light rail. Penalties do apply.